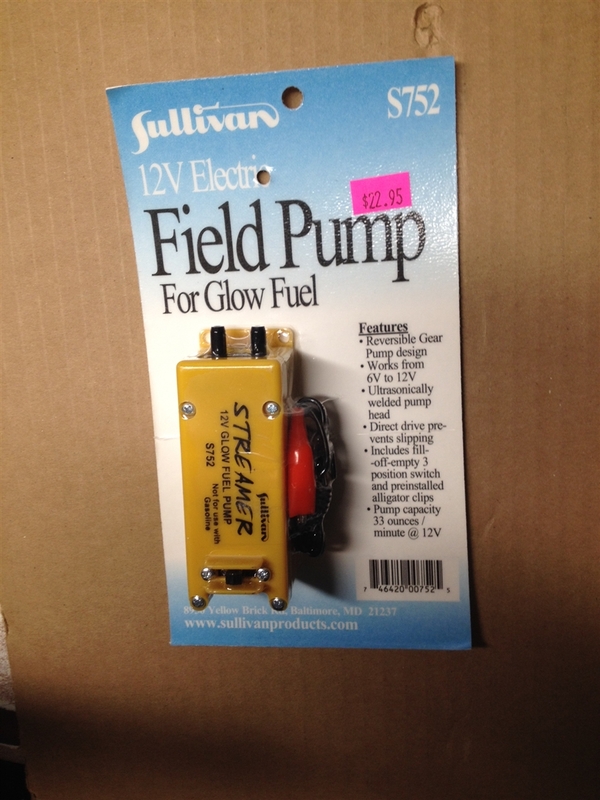 Sullivan 12V field pump for glow fuel only. 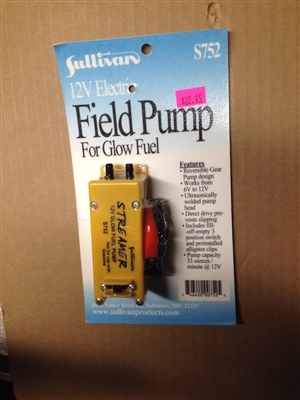 Stop using those hand crank pumps that fail at the end of the season. Get yourself a proven design to last you for years to come!